Inya Day Spa Coupon Books Available Now! Pick your preferred pampering and indulge in rejuvenating luxury. Walk through our garden retreat and relax before your treatment even begins. Experience Inya Day Spa's new location at Junction City, Yangon's new, modern shopping development located across from the famous Bogyoke (Scott) Market. Set inside a beautiful 135-acre residential compound, Inya Day Spa's spa offerings provide a final touch to your experience at Star City. Unlock the best of nature to bring out the best in you with chemical-free spa products. Save up to 25% on foot massages, Thai body massages and aromatherapy with Inya Coupon Books. Check out this month's packages and promotions - available only at Inya Day Spa locations. Book online to reserve your treatment today! Everything you want from a day spa... and so much more. Inya Day Spas offer you a full range of world-class spa treatments, delivered to the highest levels of quality and service at unbeatable prices. Since 2010, Inya Day Spas have consistently delivered the very best in foot and body massages, facials and nail treatments. 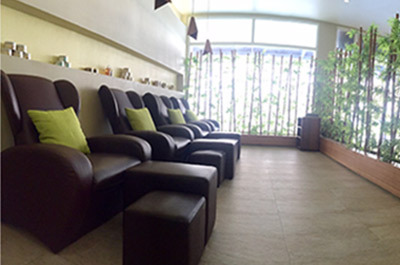 No trip to Yangon or time in the city is complete with a well-earned treatment or pampering at one of our locations. For over 8 years, Inya Day Spas have ranked as one of the best things to do in Yangon on Tripadvisor. 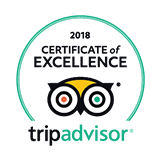 The 2013, 2014 and 2018 Certificates of Excellence confirm that we deliver on what we promise. But don't just take our word for it – book your treatment today and come see for yourself what the fuss is about. Your mind and body will thank you! Set amidst a peaceful garden setting, Inya Day Spa's premier spa location on Inya Road is the perfect escape from Yangon's bustling streets. 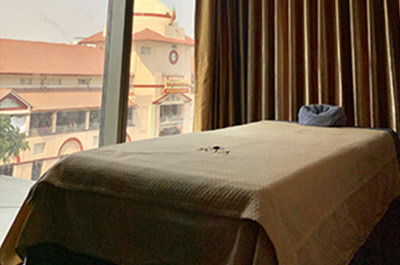 Twice awarded the Tripadvisor Certificate of Excellence, Inya Day Spa has established a reputation for high-quality treatments and customer service. Junction City is at the heart of Yangon's business and shopping district. Whether it's a speedy lunchtime spa break or a well-earned hour of pampering, escape the office or crowded malls and treat yourself to a signature treatments from our 2018 Certificate of Excellence award winning spa. Our Star City spa transports you to an oasis of calm as our bamboo walls bring a little bit of nature into your life. Extended opening hours mean you can treat yourself to our famous massages, body treatments and facials without the added stress of rushing to your appointment. I did the aromatherapy massage, which was excellent - I highly recommend this massage. Very relaxing, great way to end a trip.